Created at a cost of $40 million, this experimental one-cell organism, which can reproduce, opens the way to the manipulation of life on a previously unattainable scale, several researchers and ethics experts said. Scientists have been altering DNA piecemeal for a generation, producing a menagerie of genetically engineered plants and animals. But the ability to craft an entire organism offers a new power over life, they said. The new cell, a bacterium, was conceived solely as a demonstration project. 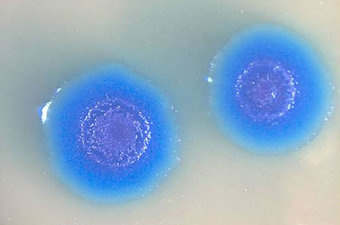 But several biologists said they believed that the laboratory technique used to birth it would soon be applied to other strains of bacteria with commercial potential. “I think this quickly will be applied to all the most important industrial bacteria,” said biologist Christopher Voigt at the University of California, San Francisco, who is developing microbes that help make gasoline. Several companies are already seeking to take advantage of the new field, called synthetic biology, which combines chemistry, computer science, molecular biology, genetics and cell biology to breed industrial life forms that can secrete fuels, vaccines or other commercial products. Synthetic Genomics Inc., a company founded by Dr. Venter, provided $30 million to fund the experiments and owns the intellectual-property rights to the cell-creation techniques. The company has a $600 million contract with Exxon Mobil Corp. to design algae that can capture carbon dioxide and make fuel. At least three other companies—Amyris Biotechnologies in Emeryville, Calif.; LS9 Inc. in San Francisco; and Joule Unlimited in Cambridge, Mass.—are working on synthetic cells to produce renewable fuels. Although patents on single genes now face legal challenges, Dr. Venter said he intends to patent his experimental cells. “They are pretty clearly human inventions,” he said. Before making their work public, the researchers said, they briefed White House officials, members of Congress and officials from several government agencies. Within minutes of Thursday’s announcement, the House Energy and Commerce Committee announced it would hold a public hearing on the new technology next week. Environmental groups also reacted quickly. Friends of the Earth issued a statement asking the Environmental Protection Agency and the Food and Drug Administration “to fully regulate all synthetic biology experiments and products,” while ETC Group, a group based in Canada, called for a global moratorium on synthetic biology. There was no immediate reaction from Roman Catholic and Protestant groups that have questioned such developments in the past. There was some support. “It is very much within divine mandate that we do these things,” said theologian Nancey Murphy, who studies Christianity and science at the Fuller Theological Seminary, a multidenominational Christian seminary in Pasadena, Calif. The announcement Thursday was the culmination of a project Dr. Venter and his colleagues have pursued since 1995. In a series of peer-reviewed papers, the group has published the interim technical steps. So far, that research has withstood scrutiny. The latest research was reviewed by a panel of independent scientists, but no one has duplicated the team’s experiment. Other researchers working on different approaches in the field found the report credible and said it combined a series of prior advances. “They are pulling all the pieces together,” said Drew Endy, a biologist at Stanford University who is president of the BioBricks Foundation, a nonprofit consortium organized by researchers from Harvard University, the Massachusetts Institute of Technology and the University of California to make the DNA tools of synthetic biology freely available. To make the synthetic cell, a team of 25 researchers at labs in Rockville, Md., and San Diego, led by bioengineer Daniel Gibson and Mr. Venter, essentially turned computer code into a new life form. They started with a species of bacteria called Mycoplasma capricolum and, by replacing its genome with one they wrote themselves, turned it into a customized variant of a second existing species, called Mycoplasma mycoides, they reported. To begin, they wrote out the creature’s entire genetic code as a digital computer file, documenting more than one million base pairs of DNA in a biochemical alphabet of adenine, cytosine, guanine and thymine. They edited that file, adding new code, and then sent that electronic data to a DNA sequencing company called Blue Heron Bio in Bothell, Wash., where it was transformed into hundreds of small pieces of chemical DNA, they reported. The scientists didn’t give the new organism its own species name, but they did give its synthetic genome an official version number, Mycoplasma mycoides JCVI-syn1.0. To set this novel bacterium—and all its descendants—apart from any natural creation, Dr. Venter and his colleagues wrote their names into its chemical DNA code, along with three apt quotations from James Joyce and others. These genetic watermarks will, eventually, allow the researchers to assert ownership of the cells. “You have to have a way of tracking it,” said Stanford ethicist Mildred Cho, who has studied the issues posed by the creation of such organisms. Scientists have developed the first cell controlled by a synthetic genome. They now hope to use this method to probe the basic machinery of life and to engineer bacteria specially designed to solve environmental or energy problems. The study will be published online by the journal Science, at the Science Express website, on May 20. 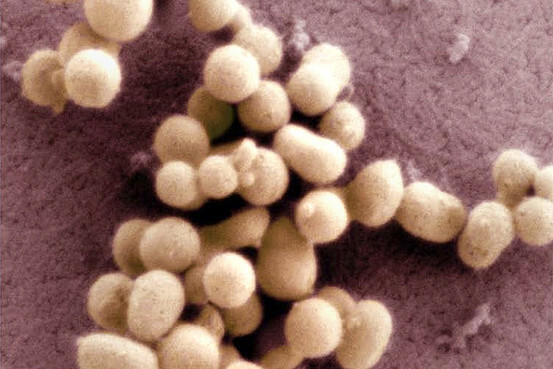 The research team, led by Craig Venter of the J. Craig Venter Institute, has already chemically synthesized a bacterial genome, and it has transplanted the genome of one bacterium to another. Now, the scientists have put both methods together, to create what they call a “synthetic cell,” although only its genome is synthetic. “This is the first synthetic cell that’s been made, and we call it synthetic because the cell is totally derived from a synthetic chromosome, made with four bottles of chemicals on a chemical synthesizer, starting with information in a computer,” said Venter. “This becomes a very powerful tool for trying to design what we want biology to do. We have a wide range of applications [in mind],” he said. For example, the researchers are planning to design algae that can capture carbon dioxide and make new hydrocarbons that could go into refineries. They are also working on ways to speed up vaccine production. Making new chemicals or food ingredients and cleaning up water are other possible benefits, according to Venter. In the Science study, the researchers synthesized the genome of the bacterium M. mycoides and added DNA sequences that “watermark” the genome to distinguish it from a natural one. Because current machines can only assemble relatively short strings of DNA letters at a time, the researchers inserted the shorter sequences into yeast, whose DNA-repair enzymes linked the strings together. They then transferred the medium-sized strings into E. coli and back into yeast. After three rounds of assembly, the researchers had produced a genome over a million base pairs long. The scientists then transplanted the synthetic M. mycoides genome into another type of bacteria, Mycoplasm capricolum. The new genome “booted up” the recipient cells. Although fourteen genes were deleted or disrupted in the transplant bacteria, they still looked like normal M. mycoides bacteria and produced only M. mycoides proteins, the authors report. “This is an important step we think, both scientifically and philosophically. It’s certainly changed my views of the definitions of life and how life works,” Venter said. Acknowledging the ethical discussion about synthetic biology research, Venter explained that his team asked for a bioethical review in the late 1990s and has participated in variety of discussions on the topic. “I think this is the first incidence in science where the extensive bioethical review took place before the experiments were done. It’s part of an ongoing process that we’ve been driving, trying to make sure that the science proceeds in an ethical fashion, that we’re being thoughtful about what we do and looking forward to the implications to the future,” he said. Scientists have taken a significant step toward creating artificial life by transplanting computer-designed genetic material into a bacteria cell, forming a new strain of the bacteria. The work, while a significant scientific breakthrough, touches on profound questions regarding the origins and nature of life, some analysts say. One of the ultimate goals of the project, the scientists say, is to develop the ability to design microbes from scratch to perform functions ranging from converting carbon-dioxide into oil and cleaning up pollution to serving as tiny machines for speeding the manufacture of vaccines. The effort, reported in Friday’s issue of the journal Science, does not represent a complete from-scratch organism. Instead, the team used computer data on an existing bacterial genome as a template. Then they digitally modified the genome, adding their own formulations – including genetic material that encoded the researchers’ names and three literary quotes in a kind of artist’s signature that verified the genetic material the bacterial cell took up was the synthetic form. The team used that information to build a bacterial chromosome essentially from four bottles of chemicals. They used yeast as a factory for assembling smaller segments of the chromosome into ever-larger segments. Then they transferred the entire new chromosome into a recipient cell, whose internal chemistry activated this assembly of genes. Beyond the technical accomplishment – and the inevitable concerns about the safety and ethics of this fledgling technology – lies what may be a more profound implication of the work, according to Pennsylvania State University bioethicist Arthur Caplan. Since Aristotle, he explains, scientists, philosophers, and theologians have argued over whether life involves more than chemical components – some have called it a “soul,” others élan vital, a vital force that distinguishes the living from the nonliving. Venter’s team has shown that with the right mix of inanimate chemicals to build DNA sequences, and the right soup within the cell receiving the DNA, the result is a living organism, Dr. Caplan says. The concept isn’t alien to biologists, particularly those probing the origins of life on Earth. Yet Venter’s work could be seen as the “final word in favor of mechanistic reductionism” of organic life, he says. “That’s the enormous significance of this work.” Indeed, the work highlights a broad trend in the physical and biological sciences – one that over the past several decades has evolved to give humanity the ability to manipulate inanimate, and now animate, matter at its most fundamental levels and in forms of uniquely human design. Even as the science of synthetic biology has evolved, so has the discussion of implications of this field, notes Gregory Kaebnick, an research scholar at the Hastings Center, a bioethics think tank in Garrison, N.Y. Yet at this stage, he says, the nascent technology may raise hackles unnecessarily. “I’m very sympathetic about concerns over how biotechnology may change the human relationship with nature,” he says. “Synthetic biology can look like the culmination of the threat biotechnology can pose” to this relationship. “But to my lights it doesn’t pose a serious threat,” he adds. Up to now, synthetic biology has focused on microbes, not complex organisms like plants or cows. “And the things we are doing to them are restricted to industrial uses,” he adds. Moreover, the aim is to simplify the genomes so that organisms spend most of their energy on producing the products — fuels, pharmaceuticals, pollution-clean-up agents, for instance. Removing all but the most essential genes makes the organisms less adaptable to stress, and so less able to survive outside of a carefully controlled environment, Dr. Kaebnick says. Still, taking advantage of any benefits from crossing the threshold from swapping “natural” genes among living organisms to designing synthetic genomes will require that scientists pay close attention to public concerns, according to David Ropeik, a risk-management consultant and former instructor on risk at the Harvard School of Public Health. Because many of the developments leading to Thursday’s announcement have remained fairly low on the public’s radar screen, he says he anticipates that Venter’s latest results could trigger the kind of public outcry that led researchers in the 1970s to place a temporary moratorium on gene-splicing research, then in its infancy. Leaders in the field met to work out a set of “how we need to be careful” protocols for conducting the work, Mr. Ropeik recalls. That act alone, he says, signaled that researchers recognized and respected public concerns about the work they were undertaking. This new development is all about operating on a large scale. “Reading the genetic code of a wide range of species,” the paper says, “has increased exponentially from these early studies. Our ability to rapidly digitize genomic information has increased by more than eight orders of magnitude over the past 25 years.” This is a big scaling up in our technological abilities. Physicist Freeman Dyson, commenting on the paper, notes that “the sequencing and synthesizing of DNA give us all the tools we need to create new forms of life.” But it remains to be seen how it will serve in practice. One question is whether or not a DNA sequence alone is enough to generate a living creature. One way of reading the paper suggests this doesn’t seem to be the case because of the use of old microplasma cells into which the DNA was inserted — that this is not about “creating” life” since the new life requires an existing living recipient cell. If this is the case, what is the chance of producing something de novo? The paper might appear to be about a somewhat banal technological feat. The new techniques build on existing capabilities. What else is being added, what is qualitatively new? Generating a Neanderthal, giving the recent mapping, seems to be feasible, but it will raise ethical hackles. Don’t hold your breath waiting for someone to try it. Generating a woolly mammoth will not be an ethical problem but it also seems feasible by using an elephant’s placenta: inject mammoth DNA into a modern elephant egg from which elephant DNA has been removed, then import the elephant egg into an elephant. A real challenge will be to generate a truly extinct species such as a Tasmanian wolf for which no host cells exist. What does this mean? We don’t know yet, and we may not know for years. For now, all we can do is speculate responsibly. As Freeman Dyson notes: “I feel sure of only one conclusion. The ability to design and create new forms of life marks a turning-point in the history of our species and our planet.” Life goes on.. but it won’t be the same. Has Venter made us gods? Does Craig Venter’s creation of life in the laboratory finally squeeze God right out of the scientific universe? Craig Venter’s production of an entirely artificial bacterium marks another triumph of the only major scientific programme driven from the beginning by explicit atheism. Francis Crick, the co-discoverer of the structure of DNA, was a militant atheist, who refused to accept a job at a newly founded Cambridge college if it had a chapel, and who invented molecular biology partly to prove there was nothing special or mystical about life: it was just the behaviour of complex chemicals acting in accordance with the normal laws of nature. Now Venter says he has built a living bacterium from nothing but chemicals and code: “Our cell has been totally derived from four bottles of chemicals”, he says. In fact, it was grown using yeast as an intermediary, but to the molecular biologist, organisms are just another kind of apparatus. It looks like the complete triumph of the materialist programme. Atheists of the Dawkins type will take it as practical proof that there is no need to hypothesise God at all: we can make life without any miracles, and there’s no need to imagine a creator; Christians will retort that they don’t think that God exists the way that things exist, and that God is no longer a man in the clouds with a long white beard; still less is he a man with a short white beard, like Ventner. Both sides will continue to shout past one another, feeling entirely vindicated by events. But at this moment of complete victory for materialism something odd has happened: the chemical and material world turns out to be entirely shaped by something called “information”. “Life is basically the result of an information process – a software process” says Venter, and “Starting with the information in a computer, we put it into a recipient cell, and convert it into a news species”. But though this information clearly exists in some sense, it’s impossible to say what kind of thing it is, because it isn’t a thing at all. Whatever this may be, it isn’t material, and it isn’t bound by physical laws. Information turns out to be as elusive and as omnipresent as God once was. I don’t mean that they are both the same because clearly they are not. What’s important is that neither fits into any kind of common sense category; in orthodox theology, the idea of existence without God is senseless: not meaningless, but self-contradictory. Something similar is true of information in the sense that Venter uses it. It isn’t the things that people tell each other: it is the fundamental regularities of nature that scientists discover. A universe without information could not exist and certainly couldn’t contain scientists. Descending from these rarefied speculations, there’s a much lower and more urgent sense in which Venter will disturb theologians and atheists alike. The man who can make life can also give humans apparently godlike powers. “We are as gods and might as well get good at it” said the Californian visionary Stewart Brand 40 years ago; and Venter’s techniques should make it possible to engineer bacteria to do almost anything we can imagine, from cleaning up the oceans to supplying us with energy. The bacteria found in nature can work like the philosophers” stone, transforming almost any substance into anything. If we can design them to turn pollution into energy, that would be wonderful; but the same techniques could produce weapons of unparalleled cruelty and efficiency. “We are limited mostly by our imaginations” Venter says. The worry is whether our imaginations will prove up to the task. The trouble with gods, as the Greek philosophers observed, is that they were not any morally better than humans, just more powerful. “Genomic science has greatly enhanced our understanding of the biological world. It is enabling researchers to “read” the genetic code of organisms from all branches of life by sequencing the four letters that make up DNA. Sequencing genomes has now become routine, giving rise to thousands of genomes in the public databases. In essence, scientists are digitizing biology by converting the A, C, T, and G’s of the chemical makeup of DNA into 1’s and 0’s in a computer. But can one reverse the process and start with 1’s and 0’s in a computer to define the characteristics of a living cell? We set out to answer this question. In the field of chemistry, once the structure of a new chemical compound is determined by chemists, the next critical step is to attempt to synthesize the chemical. This would prove that the synthetic structure had the same function of the starting material. Until now, this has not been possible in the field of genomics. Structures have been determined by reading the genetic code, but they have never been able to be verified by independent synthesis. In 2003, JCVI successfully synthesized a small virus that infects bacteria. 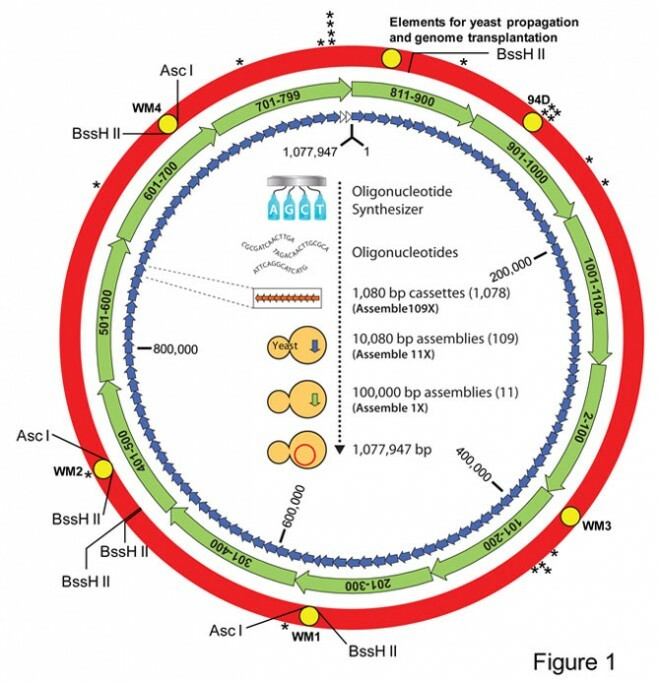 By 2008, the JCVI team was able to synthesize a small bacterial genome; however they were unable to activate that genome in a cell at that time. Now, this scientific team headed by Drs. Craig Venter, Hamilton Smith and Clyde Hutchison have achieved the final step in their quest to create the first synthetic bacterial cell. In a publication in Science magazine, Daniel Gibson, Ph.D. and a team of 23 additional researchers outline the steps to synthesize a 1.08 million base pair Mycoplasma mycoides genome, constructed from four bottles of chemicals that make up DNA. This synthetic genome has been “booted up” in a cell to create the first cell controlled completely by a synthetic genome. The work to create the first synthetic bacterial cell was not easy, and took this team approximately 15 years to complete. Along the way they had to develop new tools and techniques to construct large segments of genetic code, and learn how to transplant genomes to convert one species to another. The 1.08 million base pair synthetic M. mycoides genome is the largest chemically defined structure ever synthesized in the laboratory. While this first construct—dubbed M. mycoides JCVI-syn1.0, is a proof of concept, the tools and technologies developed to create this cell hold great promise for application in so many critical areas. Throughout the course of this work, the team contemplated, discussed, and engaged in outside review of the ethical and societal implications of their work. Q: Is your work in creating a synthetic bacterial cell “creating life from scratch”? Q: Why construct a synthetic cell? A: We believe that the ability to “write the genetic code” as we describe synthetic genomics research will enable a better understanding of the fundamentals of living cells. It will also enable us to direct cells and organisms to perform jobs, such as creating clean water or new biofuels that natural species cannot currently do to the needed scale and efficiencies. Q: How is this different than standard molecular biology/genetic engineering, etc? A: Scientists have long been able to change and/or modify single genes or small sets of genes. Most genetic alterations that people know about today are through engineering of crops, which involves adding or altering less than 10 genes out of the tens of thousands that are contained in most organisms or plants. Synthetic genomics is different in that scientists start with digital information in the computer, which allows for the design of entire synthetic chromosomes to replace existing chromosomes in cells. The first self-replicating synthetic bacteria cell constructed by scientists at the JCVI has more than 1 million base pairs of DNA, almost 1,000 genes, and involved the complete replacement of genetic material in the cell. Q: Describe the potential applications of a synthetic cell. What is the impact of this area of science and the resulting technologies? Q: How many researchers were involved in constructing the first self-replicating, synthetic bacterial cell? A: For nearly 15 years researchers at the JCVI have been working on various aspects of the synthetic genomics research and the quest to create the first synthetic cell. In the early stages there were just a few researchers on the team but it has grown over the years to include approximately 24. They are: J. Craig Venter, Hamilton Smith, Clyde Hutchison, John Glass, Dan Gibson, Carole Lartigue, Gwyn Benders, Vladimir N. Noskov, Ray-Yuan Chuang, Mikkel A. Algire, Michael G. Montague, Li Ma, Monzia M. Moodie, Chuck Merryman, Sanjay Vashee, Radha Krishnakumar, Nacyra Assad-Garcia, Cynthia Andrews-Pfannkoch, Evgeniya A. Denisova, Lei Young, Zhi-Qing Qi, Thomas H. Segall-Shapiro, Christopher H. Calvey, and Prashanth P. Parmar. Q: What are the risks associated with synthetic organisms? Do the risks of these technologies overshadow the potential benefits? A: As with any new area of science, medicine or technology, synthetic genomics has the potential to be used for great societal benefit (biofuels, vaccines and pharmaceuticals, clean water, bioremediation, etc), but it could also be used for negative purposes. So called dual use technologies need to be carefully discussed and reviewed both at the government level (Federal, state and local) both in the US and globally, as well as in accessible forums for bioethicists, educators, students, media and laypeople to learn about the science and understand these risks and benefits. Dr. Venter and his teams at both the JCVI and at SGI, have, as the leaders of this field been driving these ethical and societal implications since the beginning of the research (for nearly 15 years). The policy team at JCVI has been funded to conduct an already completed study on the options for governance of this field as well as an ongoing study of the societal issues this work raises. Many other countries are reviewing and discussing this area of science and as such numerous reports and reviews have also been conducted. Please see the JCVI Fact Sheet on Ethical Considerations and Societal Implications for more detail on this work. Q: Does this work have anything to do with humans/human research? A: No. All synthetic genomics work to date, both at the JCVI and elsewhere has focused on microorganisms. It is anticipated that given how little is known about human biology that no applications of this work will or should be attempted in humans. The way that this research will impact human lives is through the numerous applications such as new vaccines, pharmaceuticals, biofuels, etc. Q: What safeguards/controls are in place to protect against accidental environmental release? A: This is an extremely important question for this research and as such has been a big focus for the researchers at JCVI, as well as the company Synthetic Genomics Inc. Building on the longstanding and successful history in molecular biology of millions of experiments engineering and using organisms like E. coli to conduct research, JCVI and Synthetic Genomics researchers will be able to engineer synthetic bacterial cells so they cannot live outside of the lab or other production environments. This is done by, for example, ensuring that these organisms have built in dependencies for certain nutrients without which they cannot survive. They can also be engineered with so called “suicide genes” that kick in to prevent the organism from living outside of the lab or environment in which they were grown. Q: Are the bacteria used in the proof of principle work in creating the first synthetic cells (Mycoplasma genitalium, Mycoplasma mycoides, Mycoplasma capricolum) dangerous or pathogenic to humans or animals? A: There are many species and subspecies of Mycoplasmas, many with similar sounding names. However, the Mycoplasmas the JCVI team is working with—wild type M. mycoides subspecies capri and Mycoplasma capricolum subspecies capricolum are not dangerous to humans. However, both are commonly found in goat herds worldwide, and are often isolated from goats in the US. The organisms typically cause mild mastitis and polyarthritis in some goats. Importantly, it is not the agent of contagious caprine pleuropneumonia (CCPP). Rather, that is the capripneumoniae subspecies of Mycoplasma capricolum. It is also not the same as M. mycoides subspecies mycoides, which is the agent of contagious bovine pleuropneumonae (CBPP or lung plague in cattle). While the M. mycoides mycoides and M. capricolum capripneumoniae subspecies are endemic in Africa and a huge burden for cattle and goat populations there, the organisms are not present in the Western Hemisphere. In the US research on those pathogens can be done at the U.S. Department of Agriculture’s Plum Island Animal Disease Center. The synthetic M. mycoides organism has 14 genes deleted or inactivated, including genes that are predicted to be critical to virulence. While it might be capable of infecting goats, and could potentially cause disease, this has not been tested. Mycoplasma genitalium, the species whose genome we previously synthesized is a sexually transmitted parasite of the human urogenital tract that causes urethritis and is implicated in adverse pregnancy outcomes. Perhaps as much as 1% of adults may be infected, often asymptomatically. The JCVI team is still working to boot up this first synthetic bacterial genome. The extremely slow growth rate of this organism makes experimentation very time consuming (this organism’s slow growth also compelled us to resort to working with the faster growing species M. mycoides that we report on now). The JCVI efforts to boot up M. genitalium synthetic cell have yielded new understandings about the peculiar biology of this simple cell that we believe will soon result in our booting up this synthetic genome as well. Q: What are the next steps for this research at JCVI? A: The work to create the first self-replicating, synthetic bacterial cell was an important proof of concept. The team at JCVI has learned a lot from the nearly 15 years it has taken to get to this successful stage. From this proof of concept experiment the team is now ready to build more complex organisms with useful properties. For example, many, including scientists at SGI, are already using available sequencing information to engineer cells that can produce energy, pharmaceuticals, and industrial compounds, and sequester carbon dioxide. The team at JCVI is already working on their ultimate objective, which has been to synthesize a minimal cell that has only the machinery necessary for independent life. Now that a cell can be synthesized from a synthetic genome in a simple near-minimal bacterial cell, it becomes possible for the team to test for the functionality of a genome. They can whittle away non-essential DNA regions from the synthetic genome and repeat transplantation experiments until no more genes can be disrupted and the genome is as small as possible. This minimal bacteria cell will enable a greater understanding of the function of every gene in a cell and a new vision of cells as understandable machines comprised of biological parts of known function. Q: Is this research patented? A: Over the course of the 15 years it has taken to construct the first self-replicating synthetic bacterial cell, the team at JCVI has had to develop new tools and technologies to enable this feat. SGI has funded the work at JCVI in exchange for exclusive intellectual property rights. SGI has filed 13 patent family applications on the unique inventions of the JCVI team. SGI believes that intellectual property is important in the synthetic genomics/biology space as it is one of the best means to ensure that this important area of basic science research will be translated into key commercial products and services for the benefit of society. SGI intends to provide licenses to its synthetic genomics patents. Q: Has there been any review of this work by the US government? Review by any other organizations? A: The synthetic genomics research at JCVI has undergone review at the highest levels of the US government. Beginning in 2003 with the publication of the research at JCVI in creating the synthetic phiX174 (“Generating a synthetic genome by whole genome assembly: phiX174 bacteriophage from synthetic oligonucleotides.” Smith et al, PNAS 2003 Dec 23;100(26):15440-5. Epub 2003 Dec 2. ), and including the most recent research and publication on creating the first self-replicating synthetic bacterial cell, the work has been reviewed by White House offices including the Office of Homeland Security and Office of Science and Technology Policy, the National Science Advisory Board for Biosecurity (NSABB), the Department of Energy, the National Institutes of Health, and others. As well the work has been reviewed by independent bioethics groups since 1997. Senior US government officials including those at the NIH were briefed and allowed to review our study prior to publication. Q: What, if any, types of legislation or regulation should be applied to this area of research? A: We think that it is prudent, as is being proposed by HHS, to require DNA synthesis companies to screen synthesis requests against harmful agents. In 2004, the JCVI’s Policy team, along with the Center for Strategic & International Studies (CSIS) and the Massachusetts Institute of Technology (MIT) were funded by the Alfred P. Sloan Foundation to conduct a series of workshops and public sessions over a 20-month period to discuss the ethical and societal implications of synthetic genomics. Over the course of the study, the group explored the risks and benefits of the emerging technology, as well as possible safeguards to prevent abuse, such as bioterrorism. In October of 2007 the group published their findings in a report, outlining options for the field and its researchers moving forward. Q: What is the relationship between JCVI and the company Synthetic Genomics Inc and in particular how it relates to the research to create the first synthetic bacterial cell? A: JCVI is a not-for-profit, genomic-focused basic research organization. Synthetic Genomics Inc (SGI) is a privately held company founded to apply synthetic genomic-driven commercial solutions in a variety of global challenges including energy and the environment. Both organizations were founded by and are headed by Dr. J. Craig Venter. Since 2005, SGI has funded approximately $30 million of synthetic genomics basic science research at the JCVI. SGI has exclusive assignment of intellectual property rights on this work and has filed approximately 13 patent application families to date. Q. Algae that can turn carbon dioxide back into fossil fuel – it sounds too good to be true. How is this going to work? A. Algae use carbon dioxide to generate a number of oil molecules, via photosynthesis, as a way of storing energy. People have been trying to make them overproduce the oil and store it. We’re changing the algae’s gene structure to get them to produce hydrocarbons similar to those that come out of the ground and to trick them into pumping these hydrocarbons out instead of accumulating them. As other groups get CO2 sequestration techniques going, we’d like to take that CO2 and get the algae to convert it back into oil. The aim is to prevent it from further increasing carbon in the atmosphere. Q. How do you get from algae oil to oil you can put in a car or jet engine? A. The next stage is to take the algae’s biocrude, put it into Exxon Mobil’s existing refineries, and try to make the same products that you get from oil that comes out of the ground. So the goal is to make gasoline, diesel fuel and jet fuel out of the same hydrocarbons we use now – just from a different source. Instead of pulling the carbon out of the ground we’re pulling it out of the atmosphere. Q. How soon do you think that can happen? A. There have been a lot of announcements from small demonstration projects claiming they’re going to have major new fuels in one or two years. Our aim is to have a real and significant impact on the billions of gallons that are consumed worldwide. Materials used to make a vast range of products – clothing, carpets, medicines, plastics – come from oil. The goal is to try and replace as many of these as possible. The expectation is that doing it on this scale will take five to 10 years. Q. So will Exxon be producing nothing but algal power in 10 years’ time? A. I think that’s highly unlikely. The real test is going to be how simply this can be produced so it can compete with oil prices. The challenge is not just doing it but doing it in a cost-effective fashion. Q. What makes you think that you, unlike anyone else, can do this? A. Well, we’ve had some breakthroughs in terms of getting the algae to secrete pure lipids [oils] but I think the real trick is the partnership that we have – the financial resources we now have available to us and the engineering and oil-processing skills of Exxon. Q. Exxon has a poor reputation on climate-change issues. Won’t partnering with them damage the project’s green credentials? A. Quite the opposite. I think the fact that the largest company in the world has gone in this direction after several years of study is good for all of us. I’ve said many times this change can’t happen without the oil industry. They have a reputation for studying things for quite a while and acting in a large fashion once they become convinced of an approach. I don’t see how it can be bad news if somebody makes a major change in direction for the benefit of the planet. The name most frequently associated with the quest to breathe life into inanimate matter is the pioneer of genome-sequencing, Craig Venter. He, however, begs to differ. “I keep trying to make it clear – we’re not creating life from scratch,” he says. Venter’s team at the J. Craig Venter Institute in Rockville, Maryland, plans to remove the genome from an existing bacterial cell and replace it with one of their own design. If successful, this will indeed result in a novel life form, but it is a far cry from the ultimate goal of a second genesis, as Venter would be the first to admit. Other teams, however, are striving directly for that ultimate goal. The most ambitious of them do not even rely on the standard set of molecular parts, but seek to redesign a living system from first principles. If successful, they would provide an entirely new form of life unlike any that exists today, an achievement comparable to finding alien life on other planets – but one which would raise novel ethical and safety issues. Four years ago, New Scientist profiled one such effort, led by Steen Rasmussen of Los Alamos National Laboratory in New Mexico (12 February 2005, p 28). Instead of emulating the system used by existing cells – a watery soup of biomolecules enclosed in an oily membrane – Rasmussen’s “Los Alamos bug” consists of biomolecules studded into the surface of an oil droplet, like cloves stuck in an orange. At the time, Rasmussen hoped success might be only a few years away. Today he’s more cautious. “No life yet,” he reports. “But we’re getting closer… we’re inching our way.” Rasmussen, now at the University of Southern Denmark in Odense, and his team, are steadily working through a checklist of intermediate goals. For example, they have persuaded their minimal DNA genome to direct the production of fatty acids, allowing the oil droplet to grow – a key step in their bug’s rudimentary biochemistry. They are now trying to prove that the genome can replicate while attached to the droplet, and that the droplet can be made to grow and divide in sync with the genome. Meanwhile, another group has leaped ahead by developing an information-carrying molecule that can help make copies of itself. This is one of the biggest obstacles to synthetic life. Most experts assume that a self-replicating molecule – most likely RNA – must have played a role in the origin of life on Earth, but no one has been able to build one. Tracey Lincoln and Gerald Joyce of the Scripps Research Institute in La Jolla, California, tried a slightly different tack. Instead of a single RNA molecule, they made two, each able to construct a copy of the other by stitching together two half-molecules supplied by the researchers. Some think the earliest life forms may have replicated in a similar chunk-by-chunk way, with evolution gradually reducing the size of the chunks until it arrived at the DNA letter-by-letter replication we see today. If so, Lincoln and Joyce’s cross-replicators would be the closest anyone has got to recreating the origin of life. Indeed, the molecules worked so well that their population began to grow exponentially (Science, DOI: 10.1126/science.1167856). “That’s the first time that’s happened, except in biology,” says Joyce. The RNAs even underwent a rudimentary form of evolution. When the researchers supplied them with varying precursor molecules, the replicators spontaneously selected a combination that worked most efficiently. This, however, falls short of true Darwinian evolution. Selecting from a pre-ordained range of options is not the same as an open-ended capacity to create new variants by mutation. The cross-replicators cannot be considered alive until they meet this tougher test, says Joyce. There are two other tests they would have to pass to cross the Rubicon from inanimate to animate: carry out some sort of metabolic processes and segregate themselves into some kind of package. Joyce’s team is trying to build new functions into the system in the hope of passing these tests – but that is probably a long way off. Other efforts to design living cells from scratch, notably those of Jack Szostak at Harvard University and Pier-Luigi Luisi at the Swiss Federal Institute of Technology in Zurich, are similarly unlikely to reach their goal soon. There is, however, yet another approach that looks closer to paying off. Instead of going back to the drawing board and designing life from scratch, George Church of Harvard Medical School and Anthony Forster of Vanderbilt University in Tennessee are short-cutting the design process by using the familiar molecular tool kit of existing cells. Starting with a set of inanimate molecules, they intend to assemble a living, replicating system in much the same way as a hobbyist might assemble a kit car. “It’s complicated, but I think people are starting to realise that this may be the best chance we have to create a synthetic living cell,” says Forster. Just as a first-time car builder might keep things as simple as possible by omitting cruise control and aircon, Forster and Church began by stripping their kit down to its barest bones. They ended up with a list of 151 essential biomolecules: the proteins and RNAs needed to replicate DNA, make RNA copies, and translate RNA into protein molecules (Molecular Systems Biology, DOI: 10.1038/msb4100090). The rest can be outsourced. For example, instead of having their cell extract energy from sunlight or turn food into the energy-carrying chemical ATP, the researchers supply them with ready-to-go ATP. They also plan to forgo a cell membrane for the time being, running the whole system as a loose soup in a test tube. Many of the components of this minimal cell already work well together. Biotechnology companies routinely sell commercial kits to synthesise DNA, RNA or proteins to order in a test tube. But these kits only work for a few hours or days before the components are used up and the reaction grinds to a halt. To create a system that runs indefinitely, Forster and Church will also need to add a DNA molecule that encodes all 151 components, so that the system can make new ones as needed. Once they have combined this DNA with a starting set of components, they should in theory end up with a replicating, evolving – in short, living – system. Putting together so many complex parts remains a challenge but, suddenly, the finish line may be in sight. At a synthetic biology conference in Hong Kong in October 2008, Church and his Harvard collaborator Michael Jewett reported that they had solved one of the biggest assembly problems: putting together a ribosome. The ribosome is the cell’s protein-making machine and is one of life’s most complex molecular contraptions, consisting of 57 proteins and RNA molecules that all need to come together in exactly the right way. Many have tried to achieve what Church calls “the biggest assembly in biology”. Now that Jewett and Church have succeeded, there is ground for hope that the production of any complex molecular machine is possible. At the time, the pair had only assembled the ribosome from components extracted from cells. Now they have succeeded in repeating the assembly using a synthesised version of the largest RNA component. Church sees incorporating the rest of the synthetic RNAs as a relatively minor challenge. “There’s nothing you’d expect to go wrong, the way we expected things to go wrong with the assembly,” he says. Already, some other subsystems are beginning to come together. A team led by Tetsuya Yomo at Osaka University in Japan has created a system similar to Church’s, but consisting of 144 parts instead of 151 – partly because he leaves out the DNA step. In Yomo’s system, a tiny RNA genome contains the directions for making a single protein which, in turn, helps the RNA molecule replicate. Gene makes protein makes gene, closing the loop for the first time in a synthetic system – a feat Church’s team has yet to accomplish (ChemBioChem, vol 9, p 2403). “We’ve spent 10 years to reach this level,” says Yomo. Synthetic life is not yet a newspaper headline waiting to happen. But every research team that has embarked on the quest reports good progress, and the goal of creating a living being from nonliving chemicals is now less a vague possibility than a definite target with clear roadmap leading to it. “I’m getting more confident in my five to 10 year prediction,” says Deamer. If scientists succeed in synthesising life from nothing, is there a risk that, like Frankenstein’s monster, their creation might run amok and cause incalculable damage? In the long run, perhaps. After all, evolutionary innovation is intrinsically unpredictable, and once a synthetic organism begins evolving on its own in the real world, it could spring surprises. But then again, so can normal bacteria and viruses – witness the former chimp virus we now call HIV. In the short term, there seems to be little to worry about. Any synthetic life form now on the drawing board would be able to “live” only with massive life support. In the real world, without a steady diet of complex molecules and energy, an escaped “Frankenbug” would quickly perish. That means society will have plenty of time to grapple with safety issues, says Mark Bedau, a philosopher of science at Reed College in Portland, Oregon. And indeed, a European Union task force has already begun working on the topic. At least a few critics – notably ETC Group, an activist organisation based in Ottawa, Canada – also worry that creating life from scratch might cross some moral line, though mainstream theologians seem unruffled. Humans creating life would just be a special case of life creating more life, which in a sense has been the norm for billions of years.